Q. How do I log in to the research databases from home or work? Please call (210)486-4513 to get immediate help. Provide your ACES Username and Banner ID. 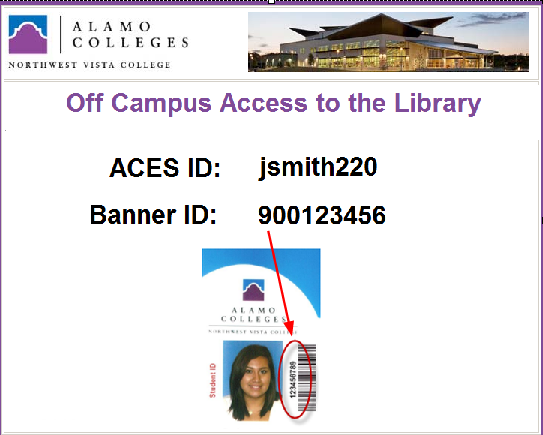 *Only current NVC students, staff, and faculty are allowed access to databases. Try a different browser (Firefox, IE, Chrome) if you are unable to login. Make sure your browser accepts cookies, how to allow cookies? Having issues logging into database academic one search. I can access academic search complete no issues, but that's not what I need. by Ashleyann Jackson on Mar 25, 2017. We were having off-campus access problems earlier with all of the Gale databases, which includes Academic One File. When that happens, try using Academic Search Complete instead. by Linda Reeves on Mar 28, 2017. I am currently having issues logging into the library database in order to access "Academic Search Complete". When I enter in my username and banner id it is saying that they are not recognizable. I've tried several times. I've also completed all other steps like clearing caches and history as well as accessing other browsers. I am using an HP chromebook at home to try to access the database. by Kayla Lazarow on Aug 28, 2017. I just added you to the system with your ACES and Banner credentials, please try again. by Nancy Kaida on Aug 28, 2017.